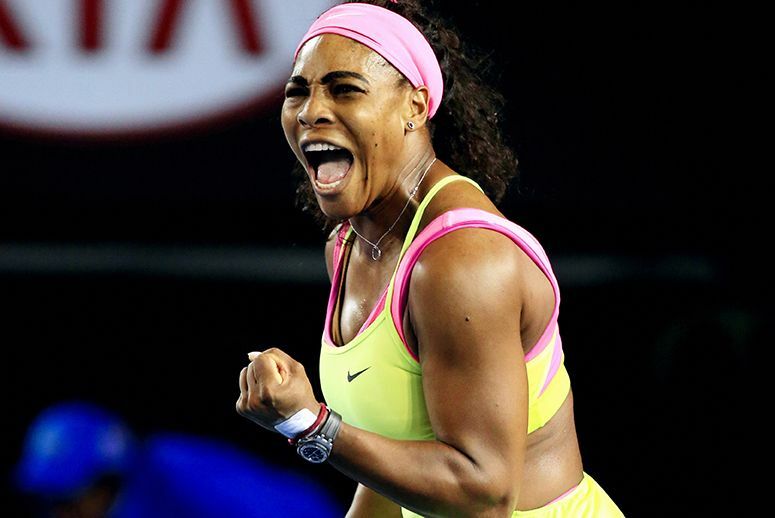 After two weeks of exciting tennis action, 128 players have been whittled down to two as the best of the tournament prepare to face each other in the Women’s Singles Final of the Australian Open.Those two players are American world number one and defending champion Serena Williams and German seventh seed Angelique Kerber, who will be playing in her first ever Grand Slam Final. Here, we will take preview the Final and take a look at how these two great players made it through to the Championship match. Serena Williams came into this tournament nursing a knee injury that had forced her to retire from her first tournament of the season, The Hopman Cup, in the first week of January. The swelling had gone down by the time the first round of the first Grand Slam of the season rolled around but there were still serious concerns over her fitness. She put an end to any doubt quickly by performing brilliantly in her first match and has gone from strength to strength as the tournament has gone on. She comes into this Women’s Singles Final without dropping a set and looking pretty unbeatable as she looks to win her seventh Australian Open title. Her opponent, Angelique Kerber, had never been past the fourth round of this tournament before but has performed as good as ever to reach the Final on her ninth visit to Melbourne. Last year, she went out in the first round and after dropping the first set of her first round match this year, she was in danger of history repeating itself. She showed great mental strength to fight back for victory and hasn’t dropped a set in any of her matches since. She has already lost in a Final in 2016, to Victoria Azarenka in Brisbane, and will be determined not to lose another. She got revenge over Azarenka in the Quarter Final here, beating her for the first time in her career at the seventh attempt. Williams and Kerber have met six times in the past, with the American leading 5-1. Kerber’s only victory came back in 2012 at the Cincinnati Masters and she hasn’t won a set in the four matches since then. They haven’t met for a while, with the most recent meeting being back in 2014.